FORMER US vice president Joe Biden has said he does not believe he ever acted inappropriately towards women but will “listen respectfully” to suggestions he did. Mr Biden, who is deciding whether to join the 2020 presidential race, released a new statement in response to allegations from a Nevada politician that he kissed her on the back of the head in 2014 and made her feel uncomfortable. “In my many years on the campaign trail and in public life, I have offered countless handshakes, hugs, expressions of affection, support and comfort. And not once, never, did I believe I acted inappropriately,” he said. Going on the attack against the prospective 2020 contender, White House counsellor Kellyanne Conway said Ms Flores was “quite bold” to “go up against the highest levels of her political party” with the allegations and suggested Biden should consider apologising to Ms Flores. “If anybody just types in ‘Creepy Uncle Joe Videos’ you come up with a treasure trove,” Ms Conway told Fox News Sunday. 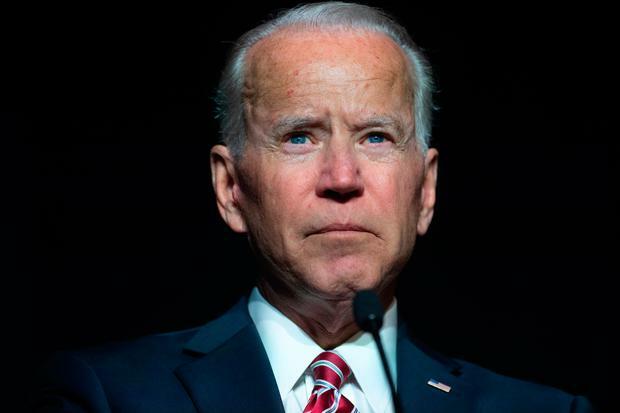 Some of the Democratic presidential candidates have expressed support for Ms Flores, but they have not said it disqualifies Mr Biden from joining the race. Senator Amy Klobuchar, a candidate for president, said she had “no reason not to believe” Ms Flores’ allegations. “And I think we know from campaigns and from politics that people raise issues and they have to address them and that’s what he will have to do with the voters if he gets into the race,” Ms Klobuchar told ABC’s This Week. In the New York Magazine article published on Friday, Ms Flores wrote that she and Mr Biden were waiting to take to the stage during a rally in Las Vegas before the 2014 election. “I felt two hands on my shoulders. I froze. ‘Why is the vice president of the United States touching me? '” Ms Flores wrote. The rally’s organiser, Henry R. Munoz III, said in a statement on Saturday that he had spoken to several key people and staff who had attended the rally and that they “do not believe that circumstances support allegations that such an event took place”. Next articleWATCH: Could the Brexit chaos result in another general election?